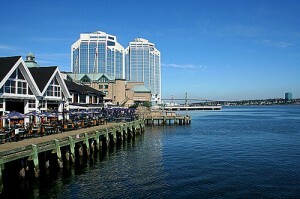 Start your day in Halifax with a walk along the waterfront. Get to know the city by just meandering through the different areas. Start on the waterfront with a browse the Historic Properties and hop on a commuter ferry for a view from the harbour. Other nice, central places for a walk are around Citadel Hill, down trendy Spring Garden Road or through the Public Gardens. Fun is the key word when it comes to the Harbour Hopper, an amphibious ex-military vehicle that zips you through the streets and straight into the water for a city view from both land and sea. Young kids will love being out on the harbour with Theodore Tugboat but for a spookier experience turn up on summer nights for a Halifax Ghostwalk or a candlelit tour of Citadel Hill. Start with the impressive Citadel Hill, taking in the Town Clock on your way down the embankments. Move to to Province House, a beautiful piece of Georgian architecture, Saint Paul’s Church, the graveyards of Titanic victims and some of Halifax’s oldest buildings in the Historic Properties. Halifax is full of green spaces, from the manicured Public Gardens to the expansive Point Pleasant Park and Canada’s oldest city park, the Halifax Commons. It’s home to many sporting fields and the occasional star-studded concert. Spring Garden Road has long been one of Halifax’s most popular shopping streets but there are also the boutiques in the Historic Properties, funky shops on Gottingen Street and the pedestrianized Granville Mall.